There is no doubt that this small albeit beautiful city of Bolu is blessed with numerous lakes and natural attractions. Yenicaga, being one of them is just as enticing when it comes to beauty and allure. 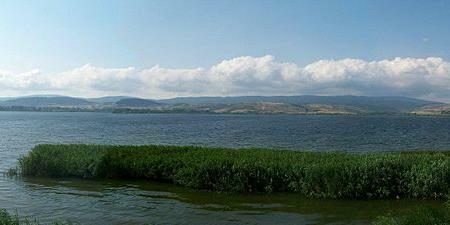 The lake is settled in a lush green landscape with various shops selling different items and eateries. The lake’s sidewalk is clean and smooth for visitors to sit, enjoy the view and have nice time. Love this? Explore the entire list of places to visit in Bolu before you plan your trip. Fancy a good night's sleep after a tiring day? Check out where to stay in Bolu and book an accommodation of your choice. How popular is Yenicaga Golu? People normally club together Golkoy Dam and Bolu Museum while planning their visit to Yenicaga Golu. Bakımsız. Çok daha güzel ve turistik hale getirilebilir. Bence abantla yarışabilecek kapasitesi var.